Owning a dog is a responsibility and making sure your dog does not pee in the house is just one of those essential tasks of dog ownership. It is not fun cleaning up after your pet pee on the floor. If you haven't already tried to train your dog, it is advisable that you try. You should learn to train your small dog quickly and efficiently. Keep in mind that your dog loves you and wants to please you. So train your dog properly, and there will be no issues. How can you stop your small dog from peeing in the house? 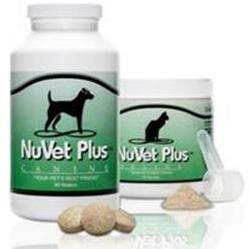 Consistency is the key which means that you will need to keep to a routine for the daily walks and feeding times. Dogs have a tendency to go to the bathroom shortly after they eat. If you time it correctly, you will know fairly accurately when to take them outside. After waking in the morning, take them outside, this also, of course, applies if you have a doggy door as you want to ensure they go outside, and never pee inside. Take them out shortly after any meal they have and just before you go to bed. Also, a few occasions in between these are helpful as small dogs have small bladders which make it important that they have opportunities to urinate. Tiny puppies have even smaller bladders. According to Petch.com, a healthy dog will produce 2 ml of urine per kg per hour. To do the math, you first need to convert kg to pounds. A typical 10-pound small breed dog would weigh 4.5 kg so would produce 9 ml of urine per hour or a total of 216 ml per day. That is roughly 43 teaspoons per day or 0.9 cups of urine. That might not seem like a lot, but it does end up creating quite a few “accidents” if your dog is peeing in the house. Always make sure that you are very observant of your dog's behavior. After a while, your dog will start to show you signs that it needs to relieve itself. For example, between feedings, your dog may begin to circle and start sniffing the ground. This sniff and circle ritual is one of the best indications that they need to use the bathroom. Remember to be patient and consistent with these methods. Eventually, your dog may show other behaviors such as sitting by the door patiently until you notice. 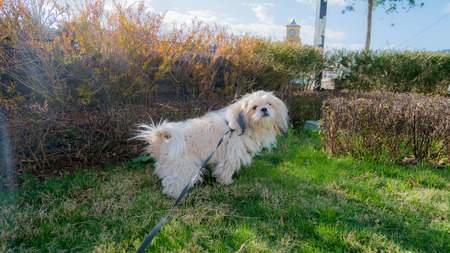 Other dogs may bark to alert you to allow them to go outdoors to relieve themselves. Still, others may learn how to use bells hung by the door to announce their needs. 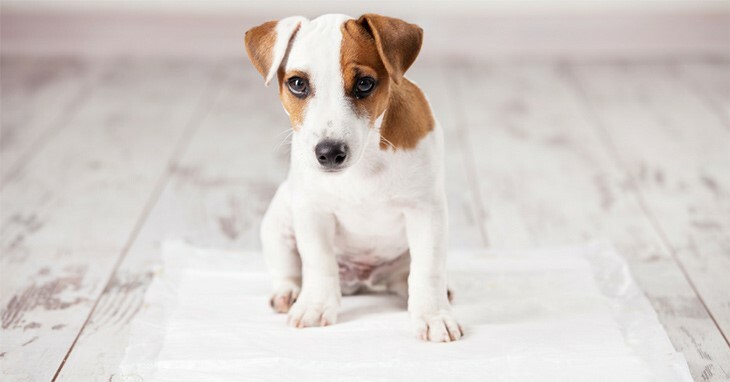 Clean-up and remove dog poop from your carpet, as dogs are creatures of habit, they will return to the scene of the crime if they smell something on the floor surface. Use floor cleaners that have enzymes because it will eliminate any leftover scents and remove odors from your house. Use artificial chemical-free cleaners as much as possible. Harsh chemicals have poisons that can affect our pets as well as us. You can even place the “evidence” outside in the garden in the region where you would like them to go. The smell will attract them and remind them to go in the same place each time. If you are lucky enough to catch your dog peeing or pooing inside, tell them 'no,' and take them outside so they can finish what they had been doing. Make sure you employ constructive reinforcement, hitting and yelling is not the answer. There's no point telling your dog 'no,' after the dog has done the job on your floor. Scolding the dog minutes after the accident doesn't do any good because they won't remember what they did or become confused. If you must scold your dog, do not use your dog's name. You never want to associate any negative behavior with your dog's name. That is one reason dog owners have trouble getting their dogs to come to them when called by name. If you catch them in or right after the act, you can tell them no and immediately take them outdoors where you want them to go. It will not help to follow this protocol if you find the evidence later on. The only course of action is to wash it up and transfer it outdoors as advised. Remember to eventually pick up your dog's wastes. If you try to teach or Scold your dog long after they have gone, they will not understand. Pointing out the urine or feces is also useless. Just do not bother, they may cower or tremble if you get upset, but they are only doing it because of your distress and not because they have any remorse for peeing in the house. As frustrating as you may feel, never use force during an incident because this will only make your dog more confused and withdrawn. Consistency combined with the proper training is the key to house training your dog. With everything that you do, make sure that you praise your doggie when they go to the toilet outdoors, make a big happy fuss over what they have done you must reward your dog when they pee in the proper place. You can reward your dog with treats, love and kind deeds. But let them know you are pleased and this will help them to understand that there are proper places to use the restroom. Dogs love to please you, if they can equate your happiness with them going outdoors to go to the bathroom, they will do exactly that. It just might take just a little time for them to work it out. Positive reinforcement is always the answer-punishment isn't. As a recap, there are methods that will make your job easier and those that will encourage your dog to keep peeing in the house. Hi. I’m Anna Stewart and I am the author of How to Stop a Dog From Peeing in the House. I’m the founder of Pup How.com. I grew up with dogs around me and pets have always been my passion. My burning desire is to deliver valuable knowledge and experience to others sharing the same interest with me. 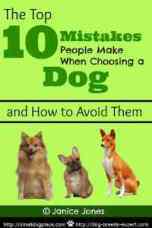 My blog is built to share all of my useful tips and advice regarding dog’s health, dog food and dog training which would be helpful for pet lovers. Explore my blog to find out the best care for your dogs.